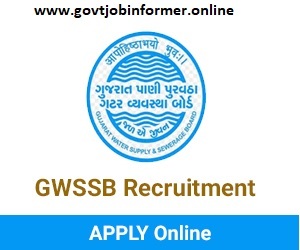 GWSSB Recruitment for 105 Additional Assistant Engineer Vacancy: – Gujarat Water Supply Sewerage Board (GWSSB) has issued a latest notification for the recruitment of 105 posts. The post name is Additional Assistant Engineer (Civil & Mechanical). If you want to make career at GWSSB Vacancy then you can apply online application from 23 March 2018 to 11 April 2018. It is golden opportunity for interested candidates, who are seeking government job in GWSSB Vacancy. Further other details are given below. Last date:- 11 April 2018. Total Vacancy: – 105 posts. Name of post:- Additional Assistant Engineer. 1) Additional Assistant Engineer (Civil) – 83 posts. 2) Additional Assistant Engineer (Mechanical) – 22 posts. Civil:- Diploma in Civil Engineering. Mechanical:- Diploma in Mechanical Engineering or Diploma in Automobile. Salary: – Rs.38090 per month. Application fee:- The fee Rs.400 for General and Rs.200 for Reserved candidates of Gujarat through Computerized Post Office. Selection Process: – Their performance in written exam. How to apply: – The candidates can apply online application through the website https://ojas.gujarat.gov.in from 23 March 2018 to 11 April 2018. Starting date for online application – 23 March 2018. Last date for online application – 11 April 2018. Last date of payment of fee at post office – 13 April 2018.